Coding bootcamps seem like all the rage these days. Thousands of people are enrolling in and graduating from them, opting for this newer learning method than a traditional college education. But do they live up to the hype? And, more importantly, are they the right fit for you? 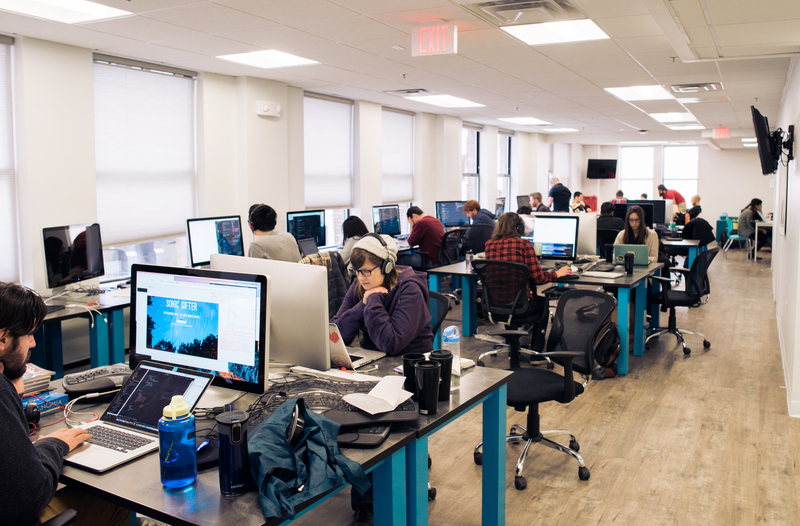 So, what exactly makes a coding bootcamp different from a college? From the time commitment and price to the teaching methods and takeaways, we've got the rundown for you. Now that you’ve gotten the rundown on coding bootcamps and understand their differences from colleges, there are a few important questions that you need to ask yourself. What are your learning goals? Do you want to learn more about computer science theory and algorithms or do you want to walk away with web programming projects under your belt and a portfolio of apps that you created? If your goal is to become a computer scientist or someone who understands the theoretical foundations of computations, definitely pursue that 4-year computer science degree. However, if you’re more gung-ho about learning the current in-demand skills in a shorter amount of time and are eager to get into a work environment with like minded people to continue your learning on the job, a bootcamp is right up your alley. Where do you want to be in 2-3 years? Do you still want to be in school or would you rather have a couple years of experience under your belt by that point? By the time someone graduates with a computer science degree, a bootcamp graduate will have already been working for 2-3 years.